Online Extravaganza – Starts TODAY! 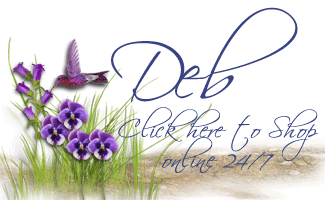 Don’t let the name fool you – just because it’s called ‘online’ extravaganza, doesn’t mean you can only order online – contact me with your order, and I can take care of it for you! Take a look at today’s DOOR BUSTER DEALS – these are available while supplies last, so ORDER NOW & don’t be left out in the cold! The embossing folders – an amazing $7 each – also include all of the embossing folders in the Holiday Catalogue as well! That’s right – the Filigree Frame (#135818), On Point (#135876) and Lucky Stars (#135817) embossing folders are ALL ONLY $7 each, along with the others from the Annual Catalogue (exclusions listed above). 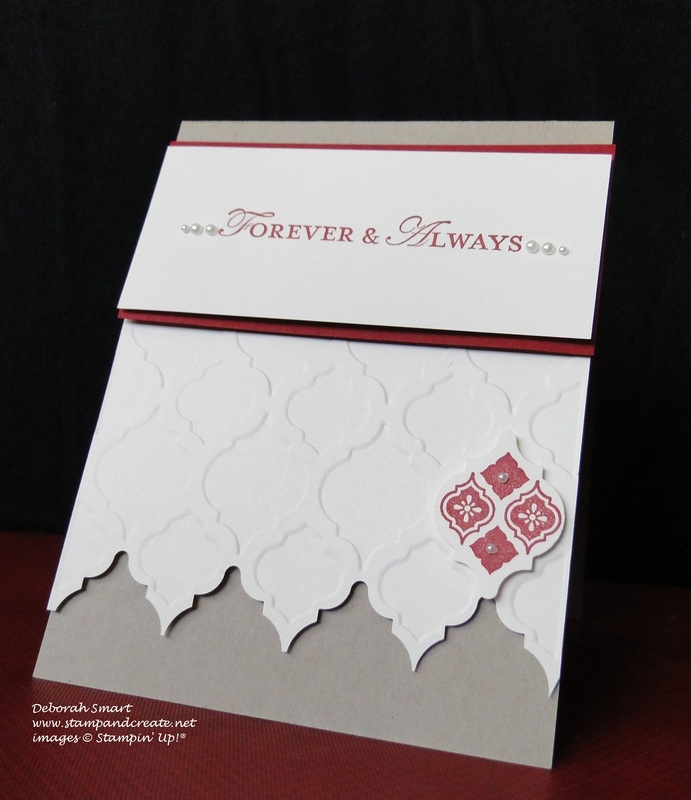 Remember – you can use embossing folder for more than just embossing! 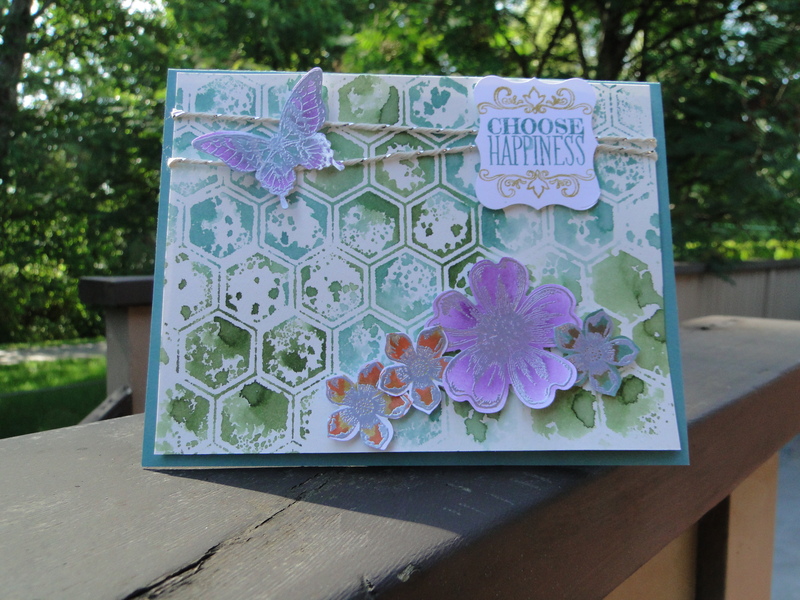 The card below uses the Honeycomb embossing folder (#129378) and embossing folder stamping technique! Did you see that the Gift Box Punch board is only $17.47?! That’s 30% OFF!! This deal is too hot to beat – and I just love this newest tool from Stampin’ Up! 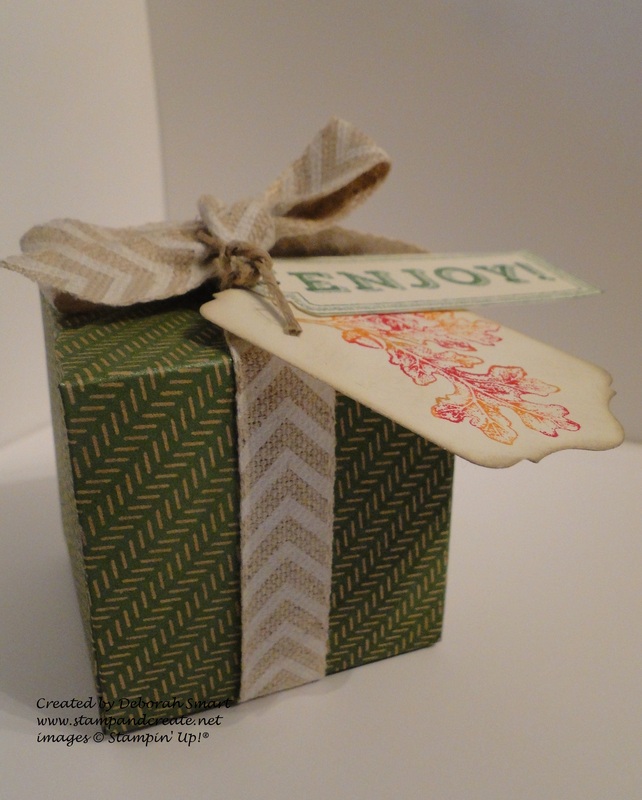 You can make boxes using regular card stock, or the terrific new Under the Tree Specialty DSP (#135825) in the Holiday Catalogue; the extra thickness of this Specialty DSP makes it the perfect weight for heavier gifts you need to package. Don’t forget all of the other products on sale all week – from today Nov. 24th to next Tuesday, Dec. 2nd – with another Door Buster special next Monday Dec. 1st featuring new products at ridiculously low prices! Previous Previous post: ONLINE EXTRAVAGANZA SALE & 25% OFF NEW DEMONSTRATOR KIT! 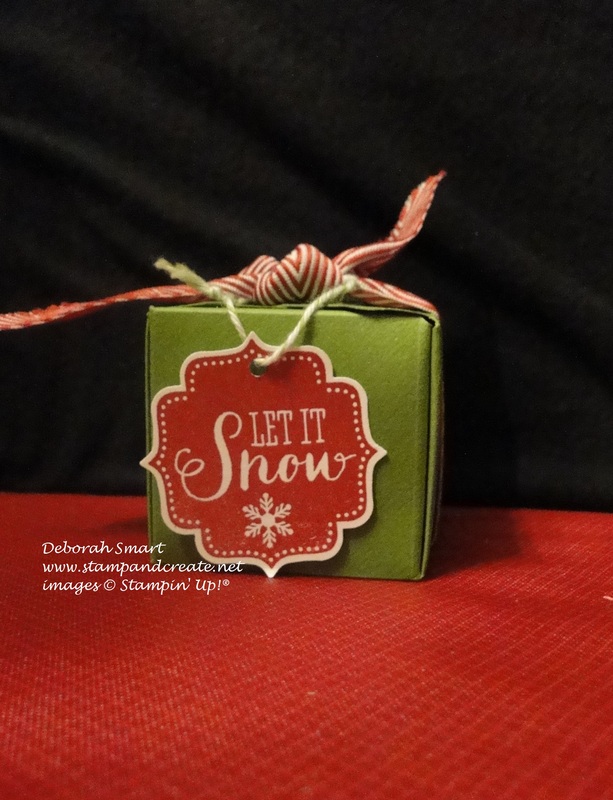 Next Next post: Christmas Crafts, and Free Shipping!